Are you sure you want to remove "Repairing Bare Spots in Your Lawn With Sod" from My Projects? Bare spots are not only unsightly, they can spread if the primary cause is left untreated. Patching bare spots works best if you do it at the beginning of new lawn growth. Repair bare spots in the late summer for cool-season grasses, and in late spring for warm-season species. Either way, always water well whether you’re planting sod or seed. Every day for a week is a good baseline (if there has been no rain) and continue watering until you’re sure the patch is completely established. Break up the soil with a garden fork and mix in compost or a similar amendment. Level the patch area to about 1" below the surrounding turf. Lightly tamp the soil down with a scrap 4 x 4 or metal tamper. 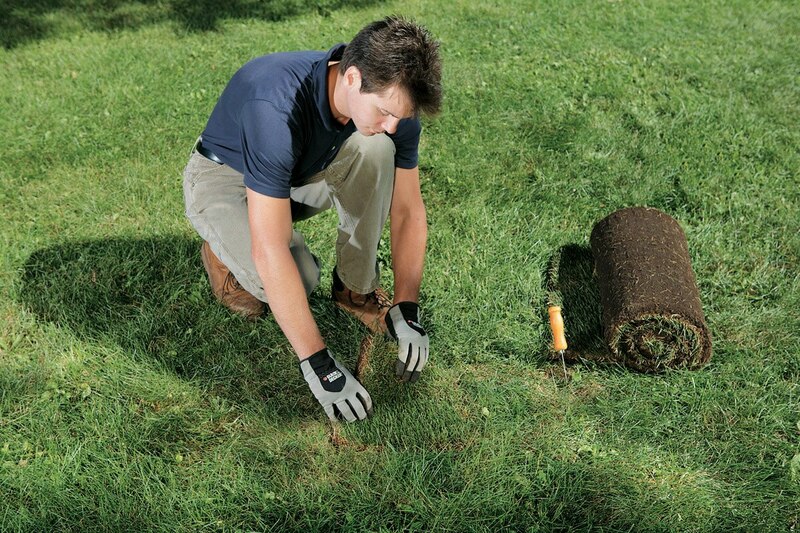 Measure the patch area and cut a piece of sod to fit snugly. It’s better to cut it slightly larger and then trim it to fit as necessary. 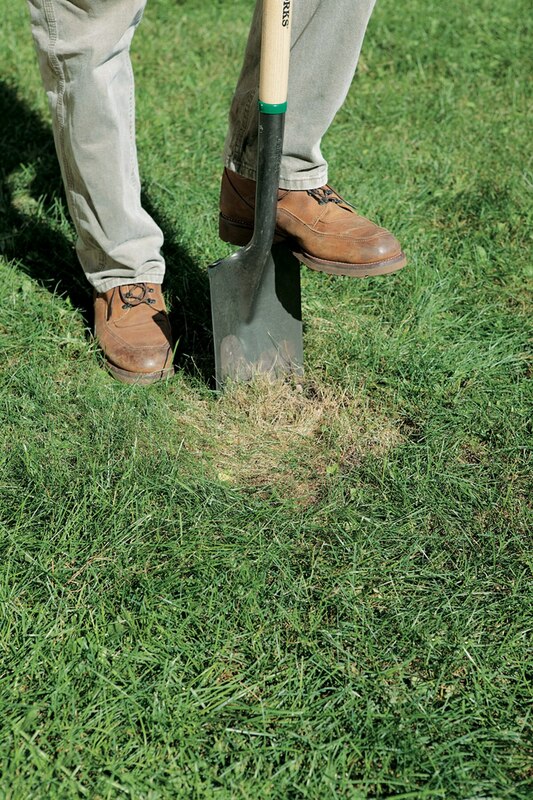 Use a large, sharp knife to cut the sod. Settle the patch with the back of a garden rake to ensure good contact with the soil below. Water well, keeping the patch moist until it is well established.